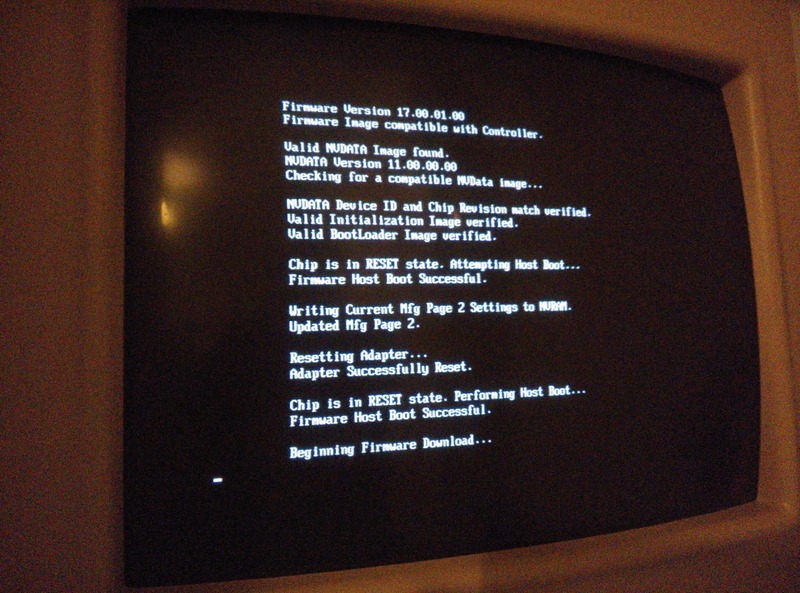 For me, FreeBSD (Running ZFSguru) would not even finish booting with the IR firmware installed. Thus the IT firmware is very much recommended doing anything in the form of Software RAID or ZFS. 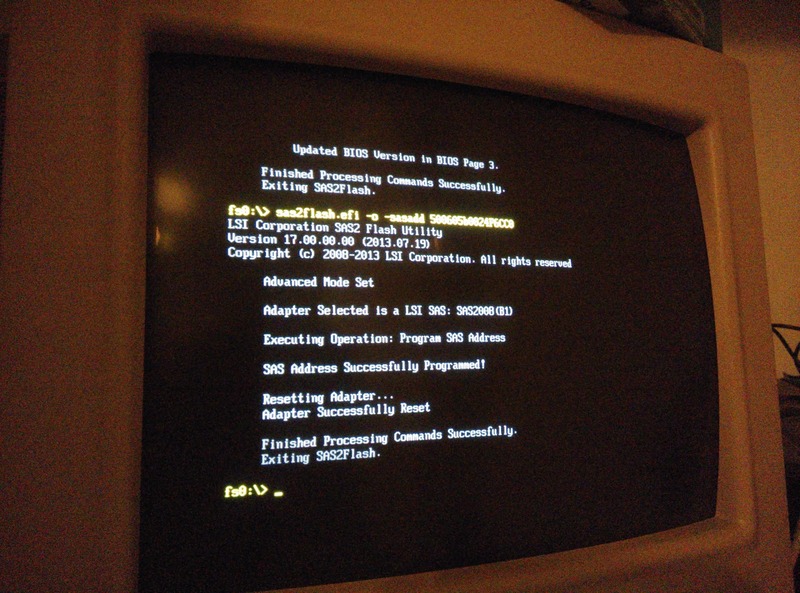 The image contains a bootable installation of FreeDOS and the LSI tools and ROM you will need are included. At the time of writing the newest ROM available is R17. You can use that one or get the newest version from the LSI website. Now prepare your system. Disconnect all of it’s drives and any other storage controllers. This isn’t ‘necessary’ but it’s just a precaution to prevent anything from going wrong. Also make sure no storage is connected to the controller. 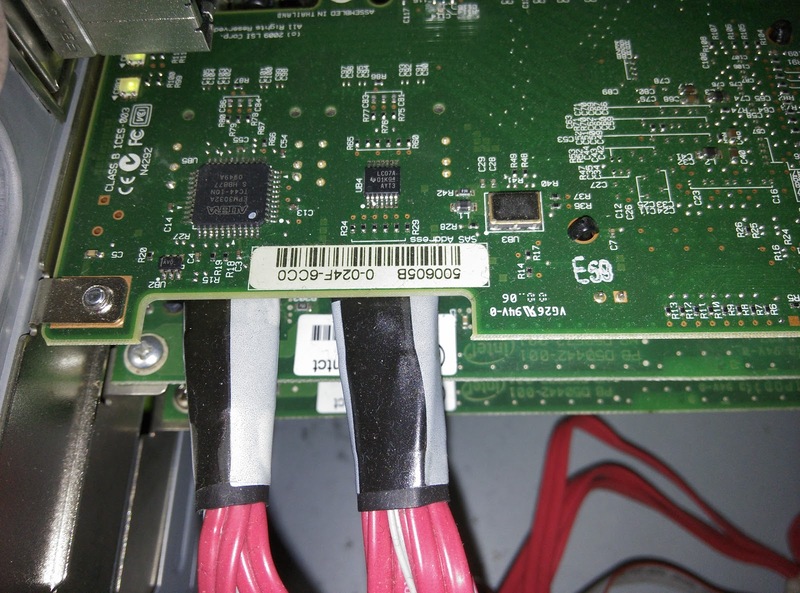 While doing this, also make note of the green label on your LSI/Dell/IBM controller. This is your SAS ID which we will need later. Green sticker with SAS ID, we will need this number later on! 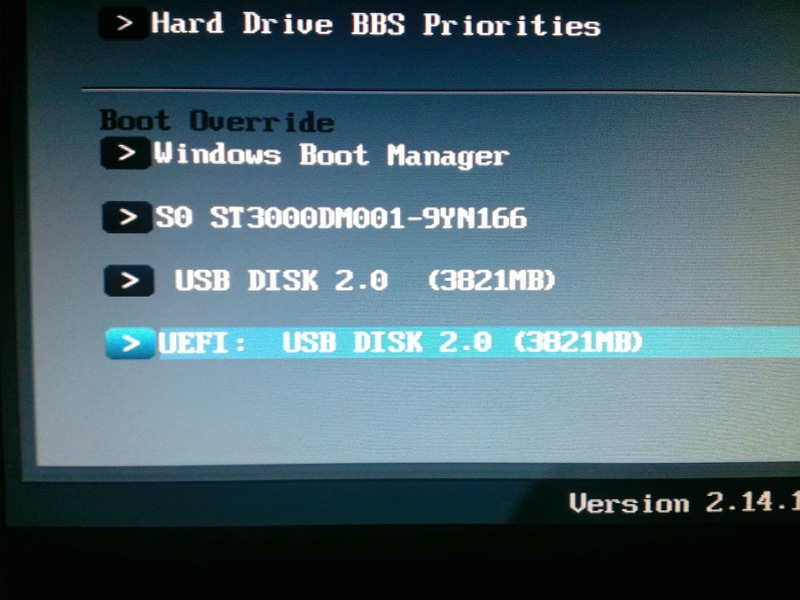 When done, boot from the USB Stick. Mostly this can be done by using F8 or F12 during the System BIOS boot. 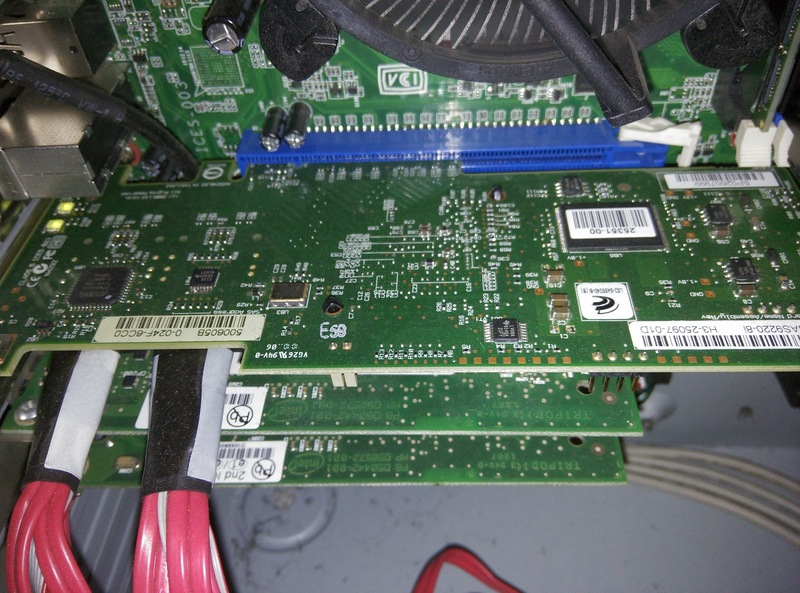 This erases the current controller firmware and controller BIOS. It will be unsuable after this, but we will soon fix this. 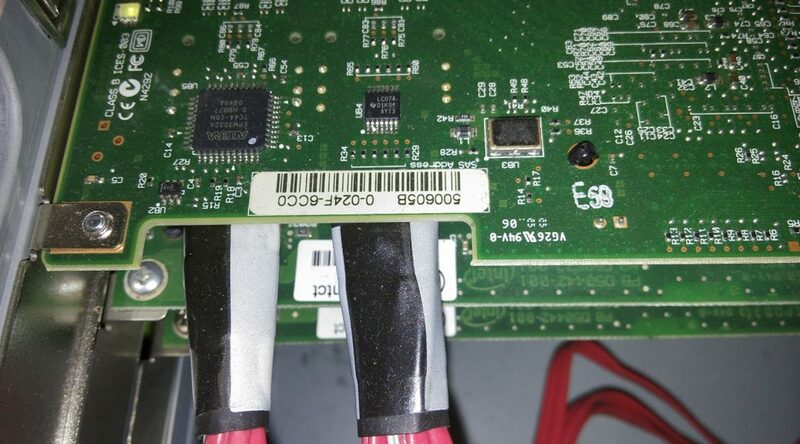 The SAD ID (500605bxxxxxxxxx) is the number you read from the green sticker on your controller. This number is unique per controller and you need to make sure you use your own number! 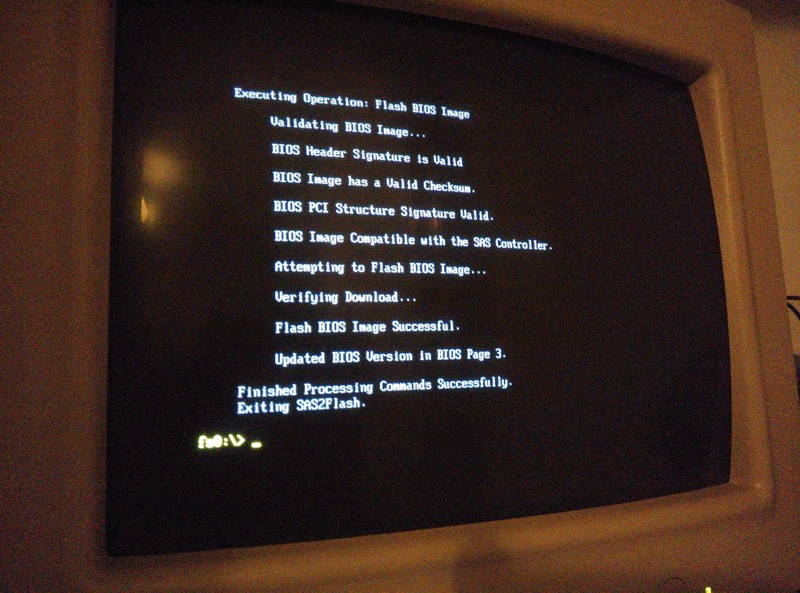 This flashes the 2118it.bin controller firmware and the mptsas2.rom controller BIOS. 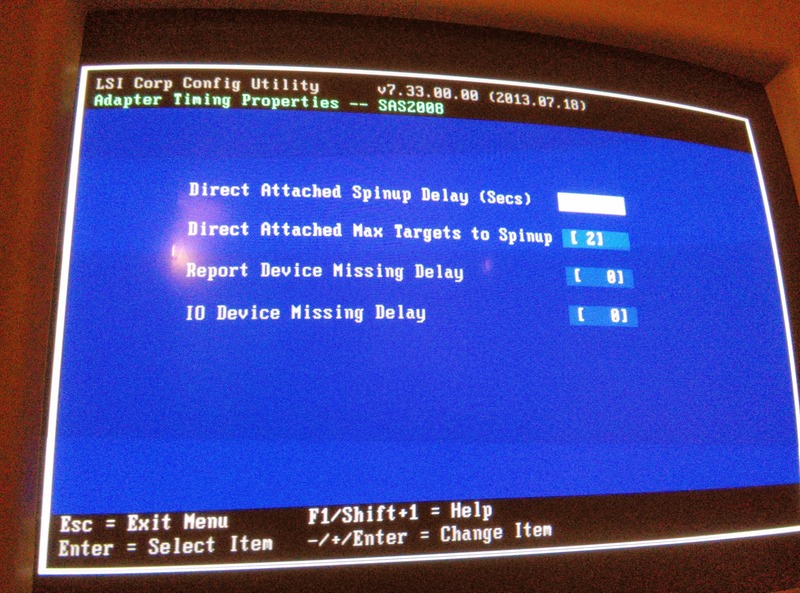 Optionally you can opt to not flash the BIOS (mpt2sas2.rom) to the controller making booting your system a bit faster. For me however, this procedure did NOT work. 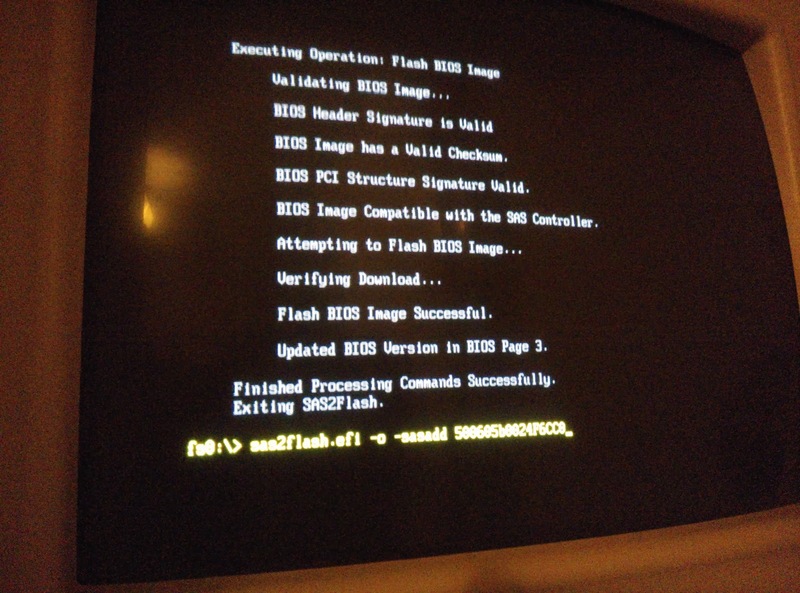 Newer systems feature something called an UEFI BIOS which seemingly prevents this kind of flashing from DOS. So… now what? 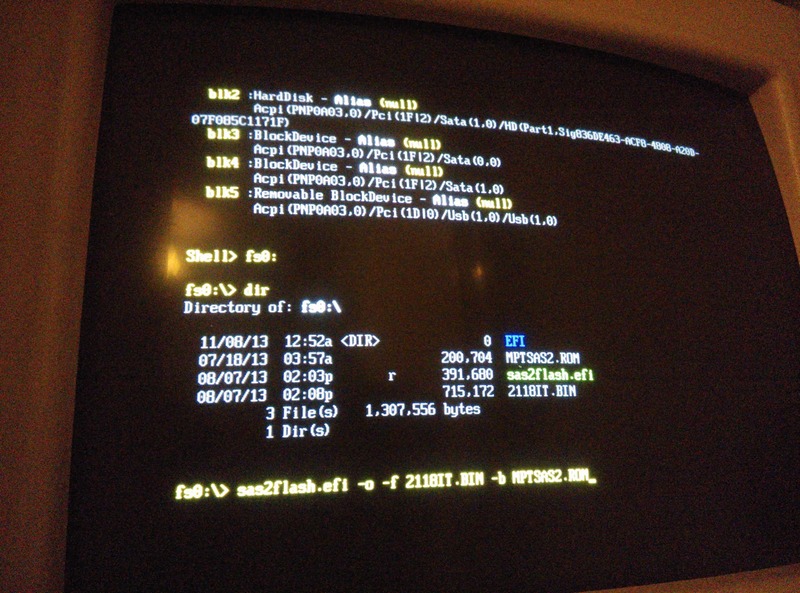 Well, we can actually use this UEFI as a form of command prompt/DOS and flash the controller from there. When that is done, your controller is flashed and usable again! 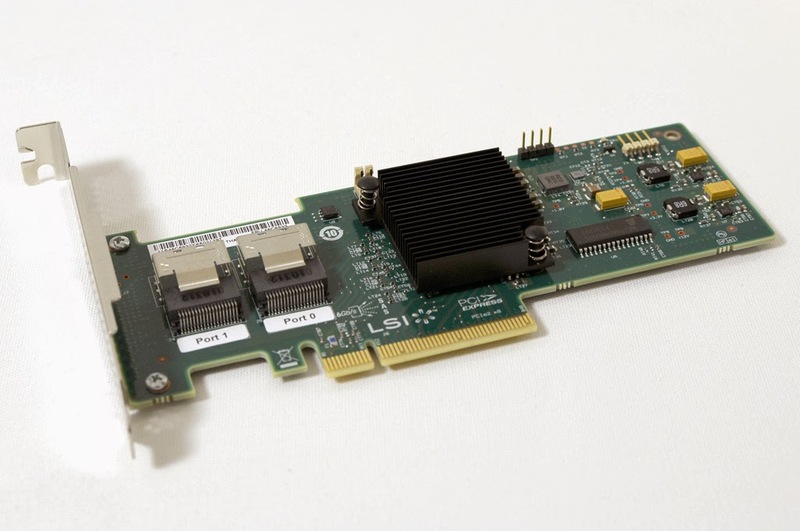 It should now be running the LSI R17 IT firmware and passes through all the information and ability to use SMART commands or spindown the disks using the operating system, etc. 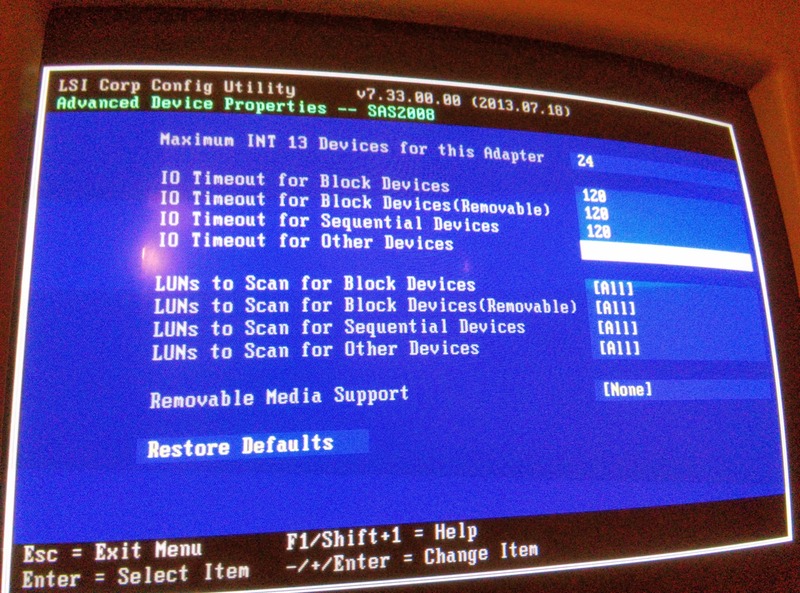 I did flash the controller BIOS and decided to change some values inside the BIOS to allow a single drive the maximum amount of time I deem reasonable to have a disk try to recover from an error. I use WD Green drives which do not have a TLER (Time Limited Error Recovery) feature and thus, if it doesn’t get reset, it will probably try indefinitely which in real-world terms would mean it would basically “hang” thus freezing the complete system. And that’s it, enjoy your newly flashed controller! Hehheh 🙂 "When done, but from the USB Stick"